The officers and members of the Middle River Volunteer Fire and Rescue Company on Saturday officially kicked off their capital campaign to build a new, centrally located facility. MRVFR presently operates out of two separate stations, both of which are more than 50 years old and in varying stages of disrepair. 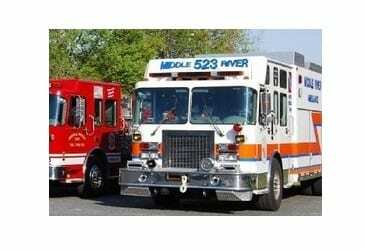 The Middle River Volunteer Fire and Rescue Company was established in 2015 as a result of the merger of the Middle River Volunteer Ambulance and Rescue Company and the Middle River Volunteer Fire Company to provide fire, rescue, and emergency medical services to the citizens of Middle River, Essex, Hawthorne, and other communities within Eastern Baltimore County. MRVFR consists of more than 100 active volunteer emergency response personnel who include Emergency Medical Responders (EMR), Emergency Medical Technicians (EMT), Paramedics, Firefighters, Rescue Technicians, and Rescue Divers. To learn more or to make a gift today, visit MRVFR.org and select “Capital Campaign” under the donation portal on the left side of the page.